Last December, Air Force Times received an email upset that we reported the arrest of retired Maj. Reinaldo Canton. 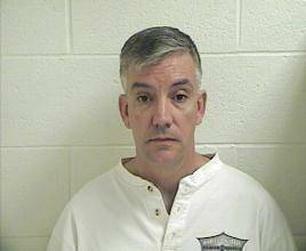 Canton was arrested in April 2007 on suspicion of meeting a 14-year-old girl he met online at a mall in Layton, Utah. The “girl?” Actually an FBI agent. Prosecutors dropped coercion and enticement charges against Canton in May 2009 because he had a serious heart condition, according to local media reports. The Utah Attorney General’s Office picked up the case that June after getting a second medical opinion. Dying? Respect the children? Hey, we’re people too. So my able colleague, Jill Laster, called around just to verify the claims. Turns out Canton still had a warrant out for his arrest. And, at about the same time, the FBI discovered photos of Canton snowmobiling with his family in the Colorado mountains. The bureau also found a waiver signed by Canton, indicating his health was good, according to a release from the Utah Attorney General’s Office. Still, Canton pleaded for mercy on health grounds. He sent a letter from a psychiatrist that said the stress of appearing in court could severely impact his health. This time, authorities weren’t buying it. Canton appeared in a Utah courtroom Wednesday to enter a Sery plea to one count of enticement of a minor. The plea allows him to admit guilt but challenge the state law on statute of limitations. He faces a sentencing hearing Aug. 22. Attorney General Mark Shurtleff took a bit of a verbal victory lap in the press release from his office.